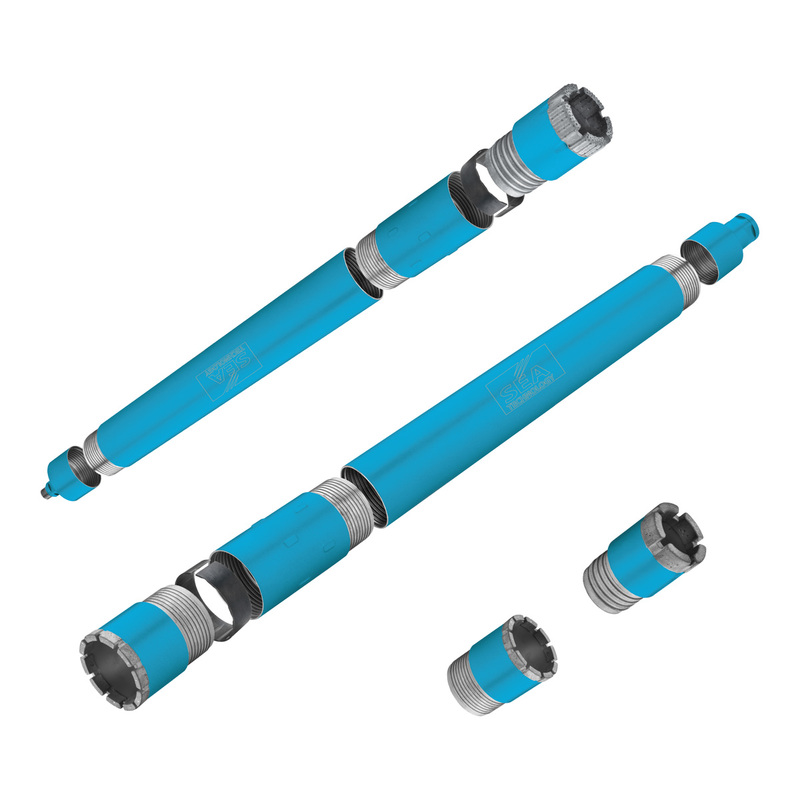 This line of diamond core bits is suitable for holes deeper than 2 linear meters. As it is not possible to extract the debris core, unlike the conventional drilling, with this system the hole can be made by progressively screwing extensions one after the other, keeping the debris core inside the bits up to the end. On request this system can also be supplied with debris core extractors and stabilizers for core bits in order to keep them on track while drilling. The tool is available in three different versions: impregnated, set and polycrystalline crown and all of them can be ordered both for wet or compressed air use. As this drill is a highly technical system, SEA TECHNOLOGY suggestion is to contact a company technician for any precautionary advice.